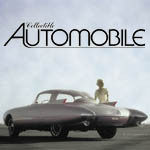 DETROIT – Luxury automakers have left few stones unturned in their endless quest to develop new crossover SUV segments. One niche yet unexplored is about to be exploited by Audi. With the Q8 Concept unveiled today in Detroit, Audi stakes its claim as the first premium-brand automaker in the large crossover-coupe segment. 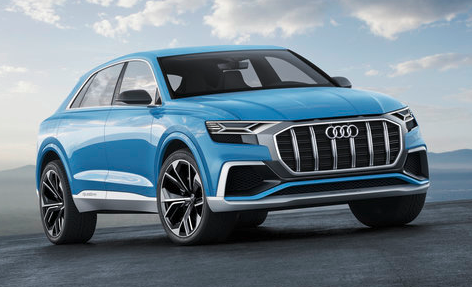 Following in the footsteps of the midsize BMW X6 and Mercedes-Benz GLE Coupe, the Audi Q8 Concept is based on an existing crossover, but sports a more rakish roofline and generally more athletic feel. 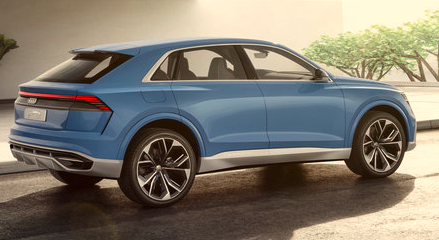 The Q8 Concept shares its basic architecture with Audi’s Q7 full-size crossover, but gives up some cargo- and passenger space in exchange for a sportier profile. The Q8 Concept is hybrid powered, featuring a 333-horsepower supercharged 3.0-liter V6 combined with a 125-horsepower electric motor. Power is delivered through Audi’s quattro AWD system via a conventional 8-speed automatic. Audi claims this powertrain can launch the Q8 Concept to 60 mph from a stop in just 5.4 seconds. The company promises that a production version will follow up the Q8 Concept in the near future. As a flagship SUV, a production version of the Q8 will likely serve Audi well. Sales volume, however, will likely be low, as the market for crossovers with sticker prices in the $90K range (our guess) and limited utility is necessarily small. We’re looking forward to seeing Q8s on the road, we just don’t expect to see very many. Written by: Tom Appel on January 9, 2017.on March 22, 2019.